This new site, launched in May 2016 and still being developed and populated, is currently running in parallel with the Sailing Scenes archive site from 2003. Photos taken before 2016 will progressively be added to these pages together with new additions. In the meantime, for thousands of photos from 2003 to 2015, please visit the archive site. Poole Bay during the Air Show, Sunday 2nd September 2018 If you saw our black RIB with red Sailing Scenes banners in the bay on Sunday, keep an eye on the cruising yachts or motorboats galleries (or get in touch). Photos will be uploaded as soon as time allows! Poole Bay & harbour, Sunday 5th August The first batch of cruising yachts and motorboats has been uploaded. The rest will follow as soon as time allows. In the meantime, if your boat isn't among them, please get in touch and it will be added. Boats in Poole Bay/Swanage Bay, Sunday 22nd July 2018 Now uploaded are the dinghies and Hobies in Studland Bay, plus some of the cruising yachts. Many more on the way. Boats in Poole Bay, 14th & 15th July 2018 An initial selection from Saturday and Sunday are in the A-Z of Cruising Yachts gallery (and motorboats in Motorboats & RIBs). More to follow. Please get in touch with any queries in the meantime. Boats in Poole Bay, Sunday 24th & Saturday 30th June Photos here and more to follow. Powerboat Racing: Fortitudo Poole Bay 100 Offshore Powerboat Race, June 10th 2018 See the action here. Round the Island Race 2017 All photos now in the RTI gallery, here. Poole Bay, 17th & 18th June Cruising yachts here. 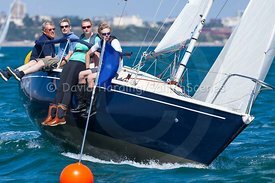 More to follow (and dinghies in Swanage Sailing Club's Rees Cup race if anyone's interested). Please make contact with any queries in the meantime. Flying Fifteen open, Parkstone, 3rd June Photos here. Poole Bay, 21st May Find cruising yachts here and motorboats here (plus one or two of Lilliput and Christchurch Sailing Clubs' race in the bay here). 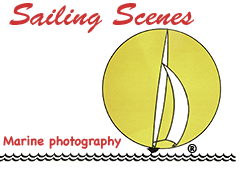 Poole Bay, 14th May Find cruising yachts in the A-Z of Cruising Yachts gallery and motorboats on the Motorboats & RIBs pages Or just search for boat name, sail number or design class using the search tab on the right. Poole Bay, 29th April We were in the bay on Saturday 29th, so if you saw our black RIB with red Sailing Scenes banners, we might have a shot of your boat. 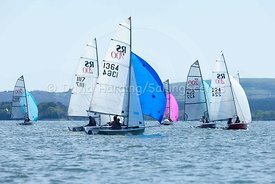 Use the search box (enter boat name, type or sail number) or have a look through the gallery here. Looking for something? Use the search tab (on the right) to search by boat name, sail number, design type or event. This new site is still only a few months old, so if you don't find what you're looking for, don't forget to try the archive Sailing Scenes Site, which goes right back to 2003. Or just get in touch – always happy to help. Merlin Rocket Silver Tiller, Parkstone See the shots here. 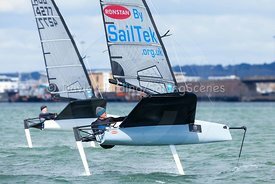 J/24 Autumn Cup 2016 A gallery with some initial photos is here. Bart's Bash at Parkstone A few photos for starters can be found here. 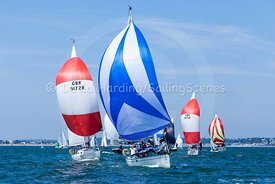 Boats in Poole Bay and PYRA Folly-Poole race, Sun 11th Sep A few sample PYRA pics are here. A handful of cruisers are are in the A-Z of Cruising Yachts gallery; the rest will follow. adidas Poole Week All photos now uploaded to the Poole Week 2016 gallery. See the daily reports here. The initial selection of photos from the week is here. And you can also re-visit the action from last year's Poole Week. 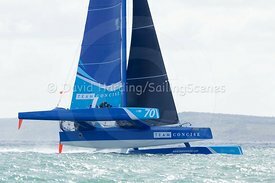 The shots are in the following galleries: Contessa 26s (upload nearly complete), Taittinger (completed), PYRA, cruising yachts (completed), motorboats and dayboats. Saturday 23rd July: Poole Bay, Studland Bay and Swanage Bay. Find the photos in A-Z of Cruising Yachts, or in the Motorboats or Dinghies & Dayboats galleries. COPYRIGHT. 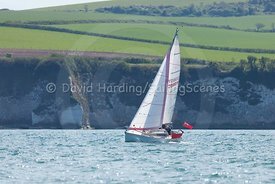 Images on this web site are the copyright of David Harding/Sailing Scenes. Images shall not be re-sold, used for commercial purposes or public display, or supplied for publication in magazines, newspapers, periodicals, journals or newsletters without express permission. If you need either digital images or prints for commercial purposes or for publication, or are in any doubt about what they may be used for, please contact me to discuss.